The 23-acre site is a former landfill two miles east of downtown. Credit: Perkins+Will. From “A Better Fill for Louisville” by Timothy A. Schuler, in the September 2015 issue, featuring the design for Louisville’s planned botanical garden, designed by Perkins+Will. 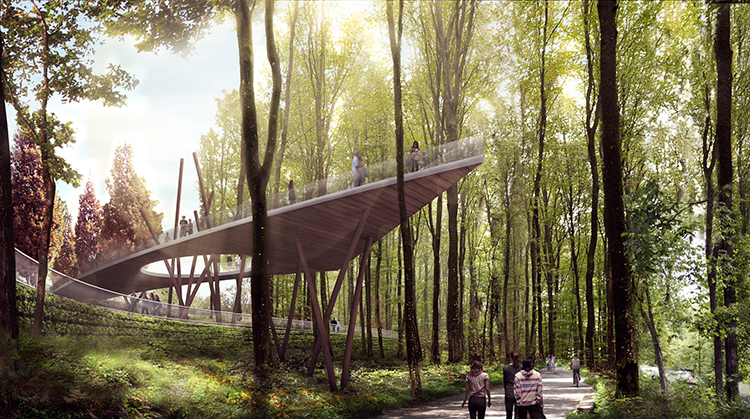 Such a site would be great to visit for the tree canopy views in the landscape, and attractive design.